Oil and mixed media on deep box canvas. 1000 x 1000 mm. I love the Yorkshire Dales and one of my favourites is Littondale. It’s a flat-bottomed glacial valley with a beautiful limestone-pavement river meandering through it. At the end, by the hamlet of Halton Gill, the road to Settle rises up and up. 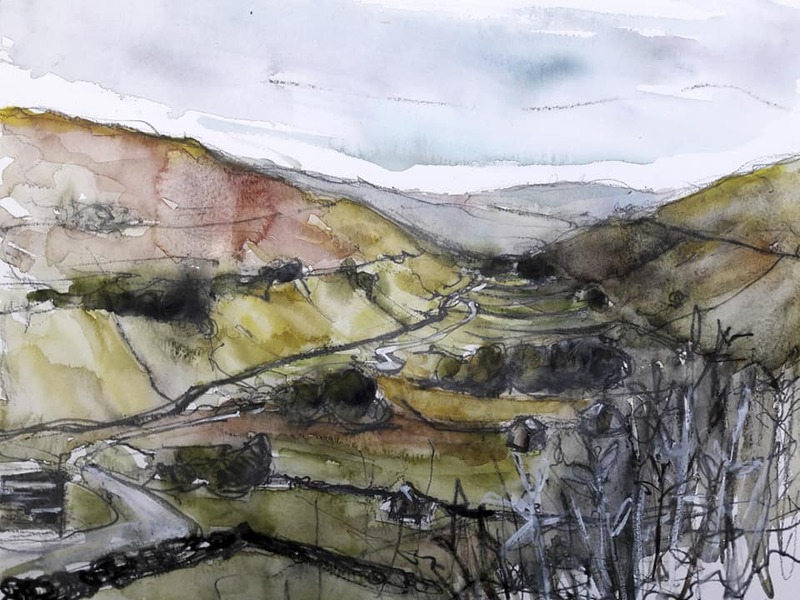 From that road there is the most stunning view looking down the Dale, so high you feel as if you’re flying. I took my sketch book, and managed to paint it when the afternoon light was strong and cast a distinct shadow across the valley. 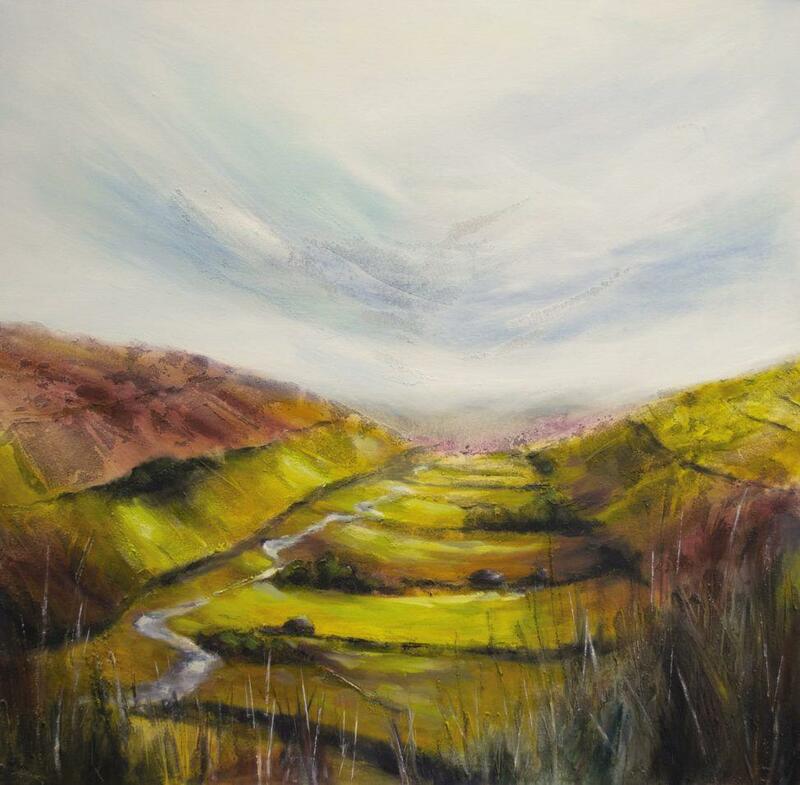 The drawing inspired this large oil painting and Rain Over Littondale, a smaller acrylic and mixed media painting.